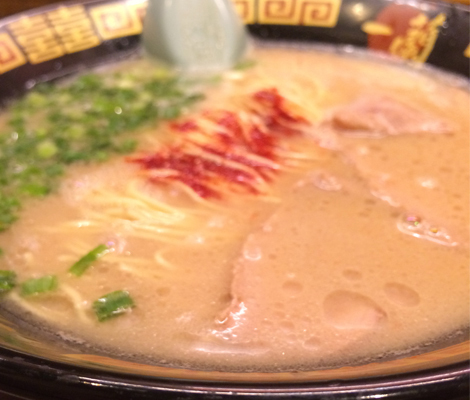 A guide to bucket-list–worthy eating and drinking experiences in and around Shibuya. 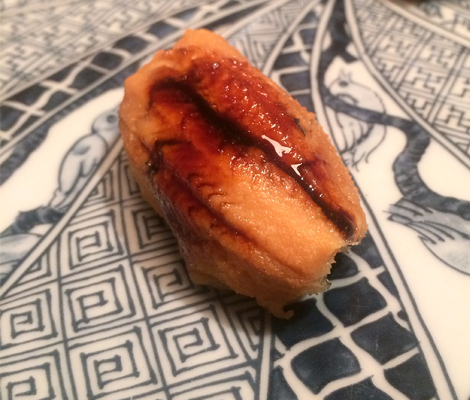 Recently, I got schooled by a 16-year-old at a sushi restaurant in Tokyo. As we sat next to each other through a 20-course omakase meal, he humored me while I proudly announced the fish that I could recognize (skipjack! uni! horse mackerel! ), like a child pointing out animals in a picture book. But around eight pieces in, he started hitting me with the knowledge darts—how the yellowtail tasted more like toro because it was caught in its fattiest month; how the chef used his knife tip to finely score each strip of ika (squid) across the grain to relax the chewy muscle; and why you should judge a sushi restaurant’s attention to detail by its kampyo, a dried gourd popular in the Edo period. In between all of this, he also extolled the virtues of Wagyu beef in burger form (try Blakows), discussed the finer points of nabe (Japanese hot pot), and pointed me towards an Italian-themed ramen-ya that melts cheese into its shio broth to produce a carbonara-like effect (Due Italian, in case you’re wondering). Stunned, I asked him how he knew so much about sushi. I recount this to demonstrate what most eating experiences in Tokyo are like: a life-expanding reminder of how little we know about Japanese cooking, and how much food is entwined in the country’s DNA—from its pop culture (shout out to Gudetama), to its delicious New Year’s traditions. Everything is good, even the convenience-store sandwiches and hole-in-the-wall cutlet shops. The smartest thing you can do is shut up, eat, and listen. But first, you need to know where to go. I won’t pretend to have any expansive knowledge of Tokyo’s vast foodscape, but I have been lucky enough to have some top-shelf sherpas—many of them older than 16—on my few visits, and I can vouch wholeheartedly for the following stops, most of which are conveniently located in and around Shibuya. 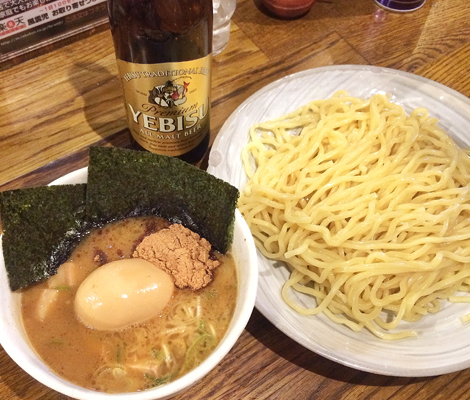 If you want to understand the rock-star status of Japan’s top ramen masters, this tsukemen specialist is a good place to start. The showman chef—with his flowing mane and constant maneuvering behind the counter—is worth the price of admission alone, and the signature dish lives up to the swagger: thick, chewy dipping noodles that soak up an almost gravy-like chicken-bone broth flavor-blasted with smoked-fish powder and fatty pork bits. Expect lines, and the need for a post-meal nap. Okay, but let’s be honest: Tonkotsu is awesome. 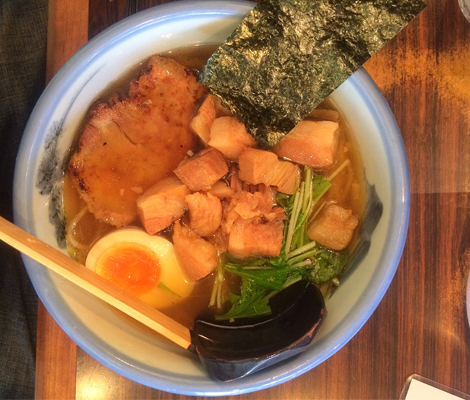 And if you believe that slurping collagen-laced broth should be a “me-time” experience, this popular mini chain is the place to go. From the moment you buy your ticket from the machine, the experience is pure self-love: You get a sheet of paper that asks you to customize every last detail of your order, including the strength of the dashi, the richness of the soup, the firmness of the noodles, the spice level, and so on. When your turn is called, you step into a semi-private, three-walled chamber with a slat that opens only long enough for a steaming bowl of noodles to slide out, as if delivered by the disembodied hands of the ramen gods. Then, it’s just you and the porky, peppery soup, face to face. Do your worst. 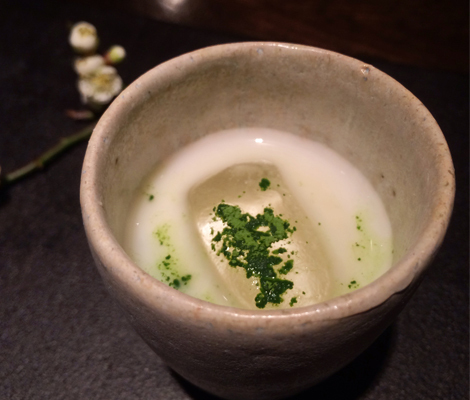 You can traipse the globe sipping vaguely perceptible tweaks on a martini, but for a drinking experience that’s singular to Tokyo, Gen Yamamoto is an essential stop. Standing behind a hulking slab of Mongolian oak in a starched white coat, the bar’s namesake solo act delivers a potable take on kappo-style dining, in which a chef creates an elaborate meal behind a counter for a small group of guests. Instead of dishes, the story of the season unfolds in a series of delicious mini cocktails highlighting obscure shochu, rare spirits, and Japanese fruits at the height of their powers. As much as a tour de force in drink design, it’s an evocative reflection of the country’s regional bounty, from Kumamoto mandarin balanced by red sweet-potato shochu, to Nagano quince blended with unfiltered sake. An absolute must for anyone who loves alcohol, fruit, and/or awesome things. 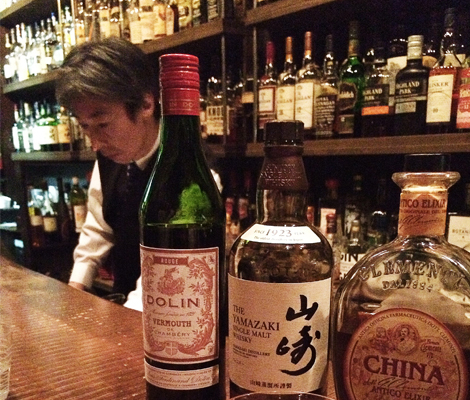 Harajuku is a better destination for hype-beasting than bar-hopping (see: Visim F.I.L., Bape, et al), but MOCH is a real drinker’s bar: eight seats, one bartender, and a crazy-deep brown-spirits selection that offers plenty of opportunity to explore Japan’s increasingly coveted hooch. There’s a menu (plus a curious leader board of popular drinks), but omakase-style is the way: Point to an intriguing spirit or mention a drink you like, and the barman will work his magic. During my visits, I particularly enjoyed a Boulevardier riff with Yamazaki single malt and China Antico Elixir in place of Campari, as well as an incredible G&T with Monkey 47 dry gin. Tokyo didn’t need Instagram to convince people that photogenic food is awesome, and the coffee culture is a testament to the power of aesthetics, with cool-looking pastries and latte-art galore. Besides the zen-like Omotesando Koffee, one of the best practitioners of steamed-milk-and-espresso wizardry is the hip Streamer Coffee Co., which is laser-focused on latte excellence. 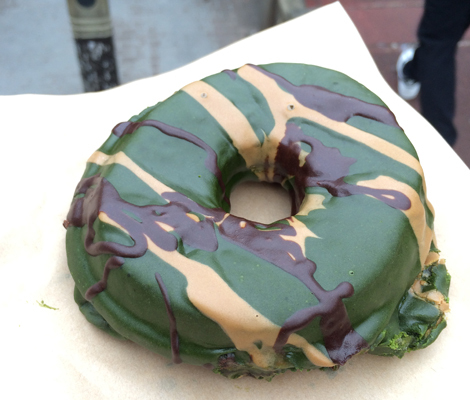 The store is styled more like a skate shop than a coffee joint, and the signature Military Donut—decorated with camo-style splashes of matcha, chocolate, and coffee icing—is an edible manifestation of Japan’s famously conformist counterculture. Edgy pastries and punk-rock barista skills? Welcome to Harajuku. As a beer nerd who’s primary mode of travel is through the lens of a pint glass, I’ll admit that hops aren’t the right polestar to follow on a trip to Tokyo. The craft scene is still in its infancy, and too many beer bars feel like American clones with overpriced bottles of Rogue and mediocre Japanese IPAs (#noshots). 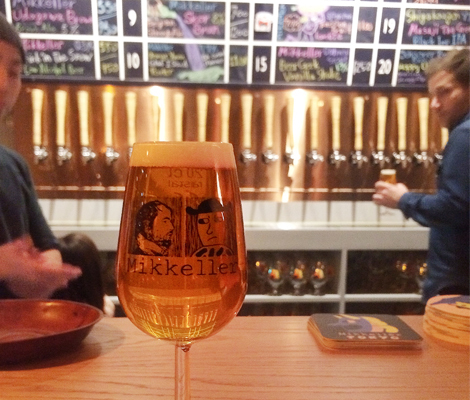 But the Tokyo outpost of this Danish gypsy brewery is a worthy stop—Scandinavian and Japanese minimalism make the barroom feel like a calming respite from the madness of Shibuya, and the Japanese guest taps are well-chosen when you want to stray from the quality Mikkeller pours like Spontancassis and Beer Geek Vanilla Shake.